The £2bn network will bring fibre optic connections of at least 1Gbps to remote areas in England, Scotland and Wales that other suppliers have deemed too expensive to reach and will rival download speeds currently provided by BT's high-speed network in urban areas. However, Fujitsu is relying on getting at least £500m of the £830m of public funds that the government has allocated to help pay for superfast broadband in rural areas and getting permission to run fibre through BT's underground ducts and string cables between phone poles, according to the Financial Times. The broadband stimulus funding to be available from 2015 comes from cash originally set aside to help the digital switchover and a further £300m from the BBC licence fee, according to BBC news. Fujitsu believes that if local authorities band together to secure the required cash for the project from the stimulus fund, the company will be able to connect the first retail customer to the network in 2012, ramping up to five million within the next three to five years. 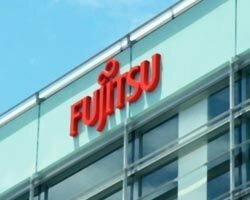 Once the network is in place, Fujitsu plans leave it up to existing consumer broadband providers to supply homes and businesses with broadband by running services over Fujitsu's infrastructure. Virgin Media and TalkTalk have already said they will use the network, which will also be open to local authorities. Analysts say BT could lose a significant number of customers to rivals that use Fujitsu's network, especially in areas not covered by Virgin's rival network.